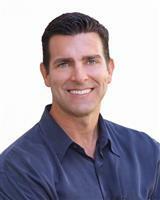 Ric Prete has proven to be one of the Conejo Valley's top resources for real estate. Ric works with the # 1 producing company in California, Coldwell Banker. Consistently ranks in the top 1-2% of Coldwell Banker agents nationally. Ranked 884 out of approx. 86,000 agents nationally. Ranked in the top 1% of Coldwell Banker sales associates internationally. Ric Prete was congratulated with the Presidential Elite and Premier Awards in 2005, 2006, 2007,2008, 2009, 2010, 2011, 2012, 2013, 2014, 2015, 2016 & 2017. Has sold over 1075 properties. Sold over 88 properties that were previously listed with other companies and agents that did not sell. 98% success rate in listings sold! Has a licensed transaction coordinator that has been in the real estate business for over 25 years and two buyer specialists. It means better service! Over 90% of business is directly from past clients and referrals. Ask for references. Uses a minimum of 10 different web sites to market his properties. Previews Property Specialist - only 5% of more than 90,000 Coldwell Banker sales associates have been awarded. Top relocation expert in our region for over 12 years. Real Estate Agent of Choice for Bank of America and AssetLink for over 3 years in the sale of REO/foreclosed properties. REO & Short Sale Specialist. If you are a SELLER of local property Ric's track record speaks for itself. Please interview Ric against anyone else you may be considering. If you are a BUYER Ric's experience and knowledge of the Conejo Valley can give you a head start in several ways when he represents you as a buyer's agent. Contact Ric Prete today at ricprete@gmail.com or 805 230-3340. Any persons using these web pages of www.RicPrete.com must do so in accordance with all of the following terms and conditions. If you do not accept any of these terms, do not use these pages for any purpose. Information published on this site may contain links to other sites. No representations are made about any other web site accessed through this site, and Ric Prete is not responsible for any software or the content of any information published on the site of any other party. Take precautions when downloading files from sites to protect your computer software and data from viruses and other destructive programs. The material posted on these pages may be retrieved solely for your own personal use and may be downloaded to your own hard disk or sent to a printer solely for that purpose. Do not otherwise copy, modify, or distribute the contents of these pages without express permission. While Ric Prete attempts to convey accurate and current information on this site, information provided here is "as is" and without warranty of any kind, either expressed or implied. We do not warrant or make any representation regarding the information on this site in terms of correctness, accuracy, timeliness, reliability or otherwise. Confirm the accuracy of any information presented before relying on it in any way. Information is current only as of the date it is posted to the site. Ric Prete will update as often as possible although specifically disclaims any duty to update the information.